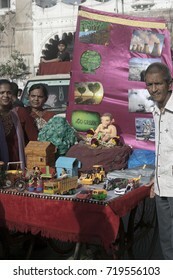 An enthusiast about an art and an artist. 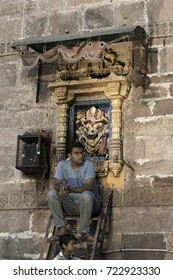 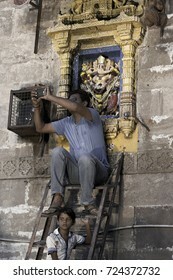 Travel and stock photographer. 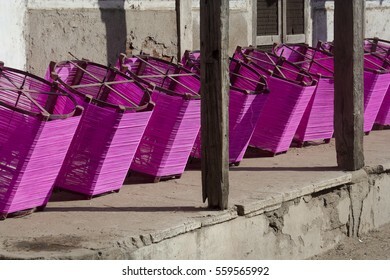 750 stock photos, vectors, and illustrations are available royalty-free. 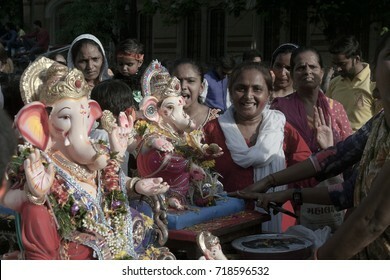 VADODARA, GUJARAT / INDIA - SEPTEMBER 5, 2017 : A GROUP OF WOMEN ARE PRAYING THE RITUALS TO THE LORD SHREE GANESHA DURING THE GANESHA FESTIVAL. 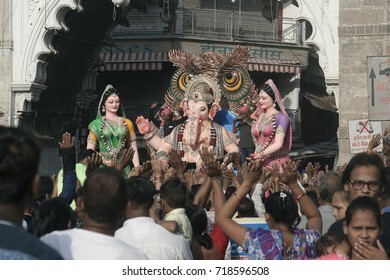 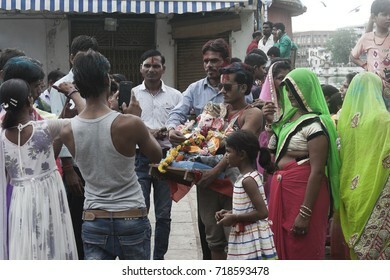 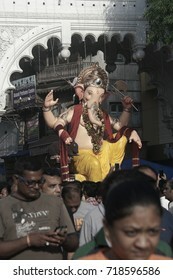 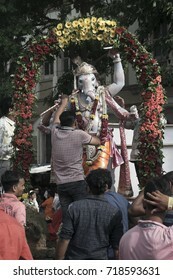 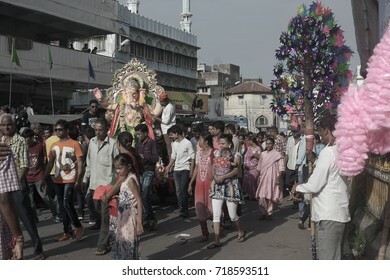 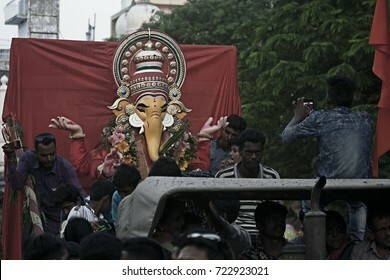 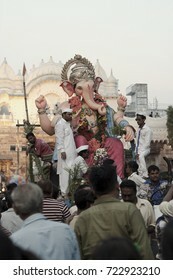 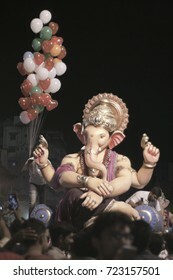 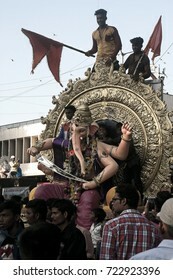 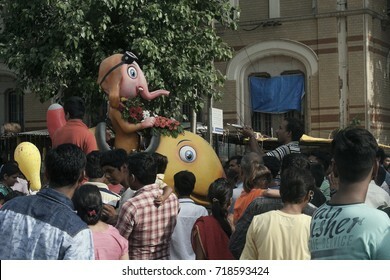 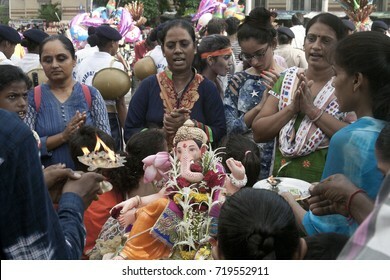 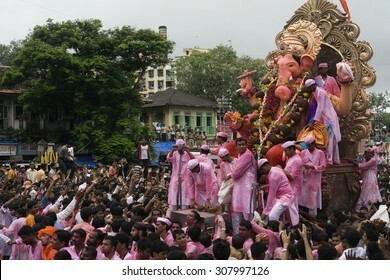 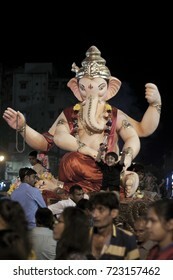 MUMBAI, MAHARASHTRA / INDIA - SEPTEMBER 15, 2007 : A STATUE OF A HINDU GOD SHREE GANESHA IS CARRIED BY THE FOLLOWERS DURING THE GANESHA FESTIVAL. 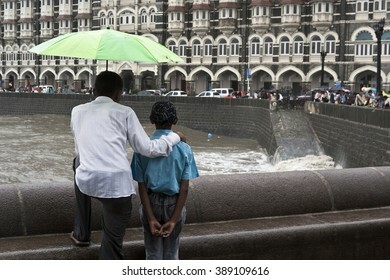 MUMBAI, MAHARASHTRA / INDIA - JUN 11, 2008 : A FATHER AND CHILD ARE LOOKING AT THE TAJ HOTEL DURING THE MONSOON IN INDIA. 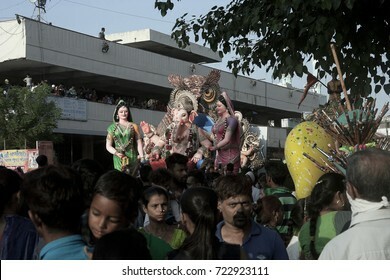 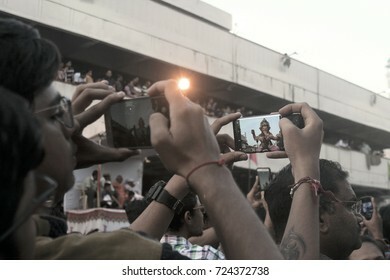 VADODARA, GUJARAT / INDIA - SEPTEMBER 5, 2017 : PEOPLE SURROUNDED TO THE STATUE OF A LORD SHREE GANESHA AND TAKING A PHOTOGRAPH THROUGH THEIR PHONES DURING THE GANESHA FESTIVAL. 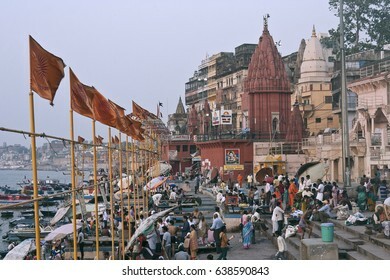 VARANASI, UTTAR PRADESH / INDIA - MAY 9, 2015 : PEOPLE ARE GATHERING ON GHAT IN VARANASI DURING THE EARLY MORNING SUNRISE. 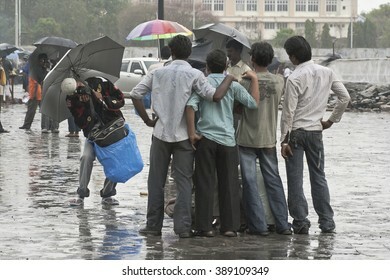 MUMBAI, MAHARASHTRA / INDIA - JUN 11, 2008 : PEOPLE , UMBRELLAS, AND BALLOONS AT GATEWAY OF INDIA DURING THE MONSOON IN INDIA. 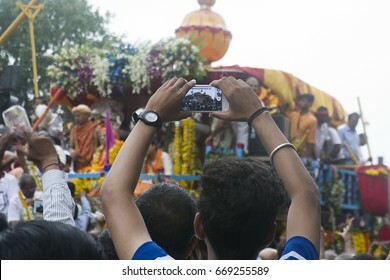 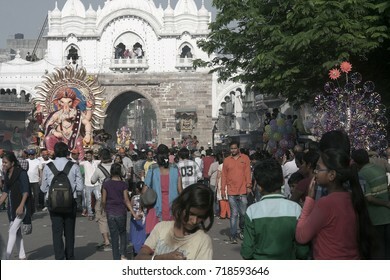 VADODARA, GUJARAT / INDIA - JUNE 25, 2017 : BACK VIEW OF A MAN TAKING A PHOTOGRAPH OF THE CHERIOT DURING THE FESTIVAL IN VADODARA, INDIA. 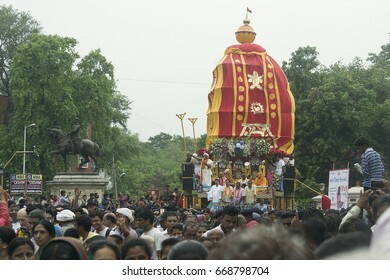 VADODARA, GUJARAT / INDIA - JUNE 25, 2017 : THE CHARIOT AT SHIVAJI CIRCLE DURING THE RATHA YATRA IN VADODARA, INDIA. 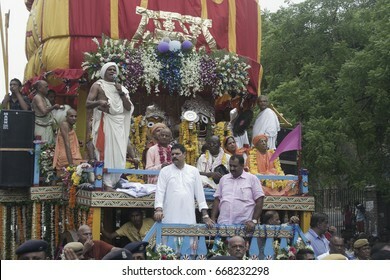 VADODARA, GUJARAT / INDIA - JUNE 25, 2017 : CLOSE UP VIEW OF THE LORD JAGANNATH SURROUNDED BY THE PRIESTS AND DEVOTEES ON THE CHARIOT DURING THE FESTIVAL IN VADODARA, INDIA. 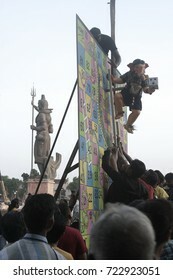 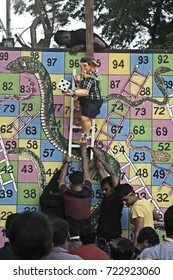 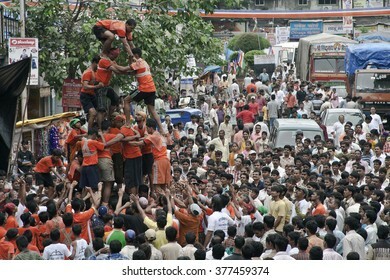 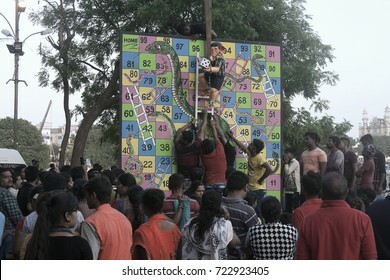 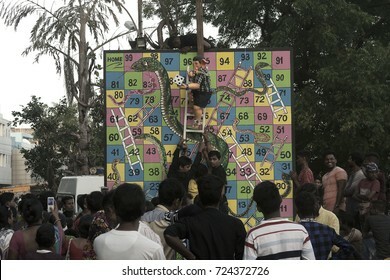 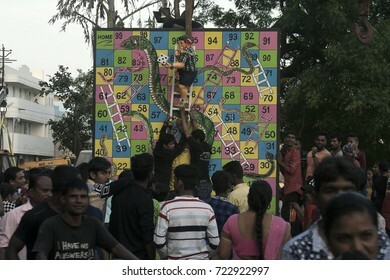 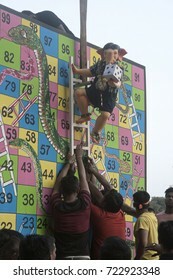 DADAR, MAHARASHTRA / INDIA - AUGUST 24, 2008 : A GROUP OF MEN BUILDING A HUMAN TOWER, TO CATCH AND BREAK THE POT, FILLED WITH BUTTER, ON DAY OF CELEBRATION OF HINDU FESTIVAL JANMASTAMI IN INDIA. 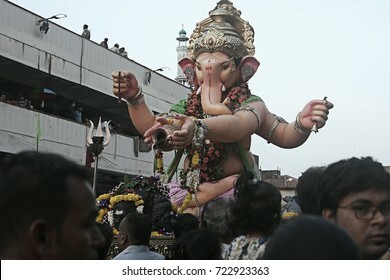 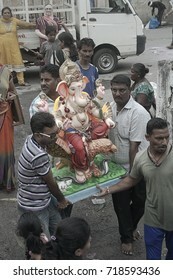 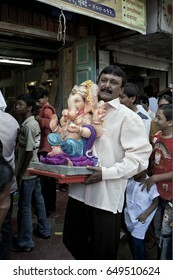 MUMBAI, MAHARASHTRA / INDIA - SEPTEMBER 15, 2007 : A MAN IS CARRYING ON HIS HAND THE STATUE OF A HINDU GOD SHREE GANESHA AND TAKING IT TO HIS HOME TO WORSHIP DURING THE GANESHA FESTIVAL. 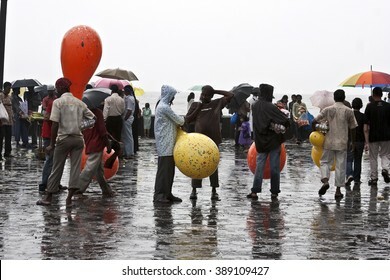 MUMBAI, MAHARASHTRA / INDIA - JUNE 11, 2008 : TOURIST ARE WATCHING THE SEA WATER DURING THEIR VISIT OF GATEWAY OF INDIA DURING THE MONSOON SEASON IN INDIA. 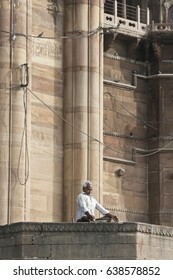 VARANASI, UTTAR PRADESH / INDIA - MAY 9, 2015 : AN OLD MAN IS DOING MEDITATION ON GHAT IN VARANASI. 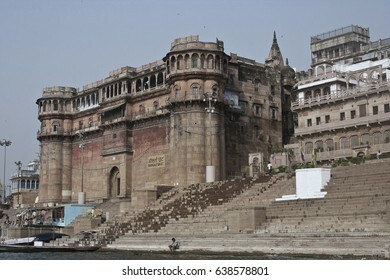 VARANASI, UTTAR PRADESH / INDIA - MAY 9, 2015 : A HUGE BUILDING ON BHOSALE GHAT IN VARANASI. 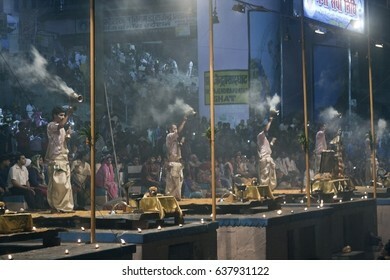 VARANASI, UTTAR PRADESH / INDIA - MAY 7, 2015 : PEOPLE ARE GATHER TO WATCH THE GANGA AARTI AT GHAT DURING THE EVENING. 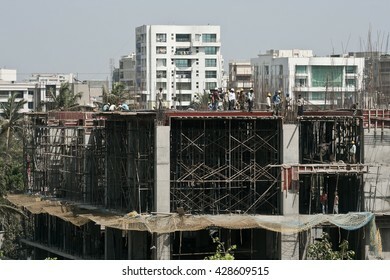 MUMBAI, MAHARASHTRA / INDIA - MARCH 27, 2009 : WORKERS ARE WORKING ON THE CONSTRUCTION SITE. 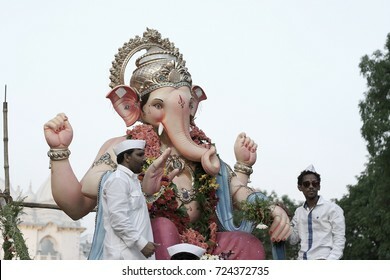 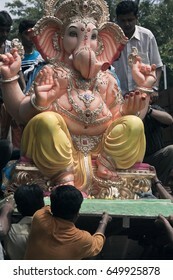 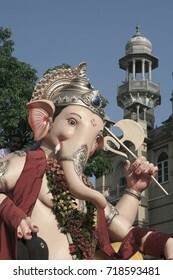 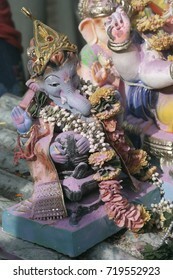 MUMBAI, MAHARASHTRA / INDIA - SEPTEMBER 3, 2009 : A STATUE OF HINDU GOD SHREE GANESHA TAKEN BY DEVOTEES DURING THE GANESHA FESTIVAL. 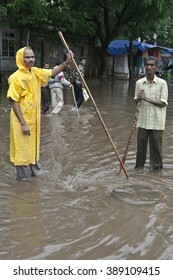 MUMBAI, MAHARASHTRA / INDIA - JUNE 7, 2008 : TWO MEN ARE CLEARING AND OBSERVING THE DRAINAGE FOR CLEARLY PASSING THE SUPPLY OF FLOOD WATER INTO DRAINAGE DURING THE MONSOON. 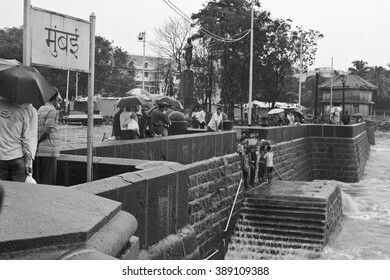 MUMBAI, MAHARASHTRA / INDIA - JUNE 11, 2008 : A PHOTOGRAPHER IS TAKING THE PICTURES OF A GROUP OF YOUNG TOURISTS, COMES TO VISIT THE GATEWAY OF INDIA DURING THE MONSOON IN INDIA. 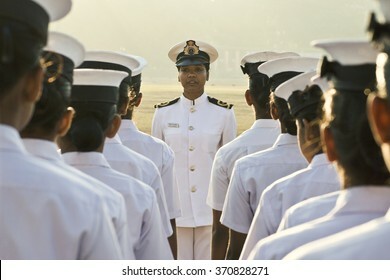 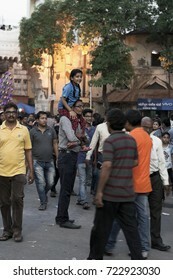 MUMBAI, MAHARASHTRA / INDIA - JANUARY 26, 2008 : A WOMAN OFFICER ON THE DAY OF CELEBRATION OF THE REPUBLICAN DAY OF INDIA. 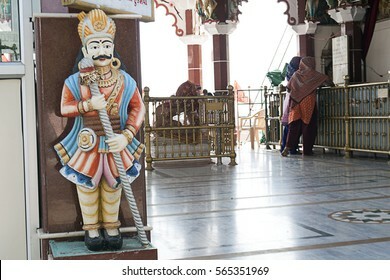 KHAMBHAT, GUJARAT / INDIA - JANUARY 11, 2017 : THE STATUE OF A GATEKEEPER AT THE ENTRANCE OF THE TEMPLE OF GODDESS SIKOTARA MAATA AND THE WOMEN ARE INSIDE THE TEMPLE WORSHIPING GODDESS, IN KHAMBHAT. 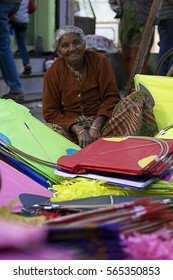 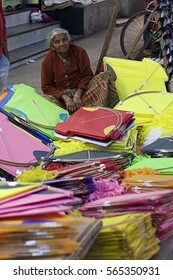 VADODARA, GUJARAT / INDIA - JANUARY 12, 2017 : A SALES WOMAN SELLING KITES AT THE STREET MARKET, BEFORE THE KITE FESTIVAL DAY IN INDIA. 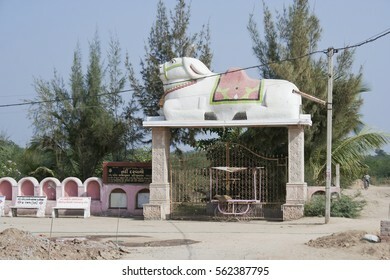 KHAMBHAT, GUJARAT / INDIA - JANUARY 11, 2017 : THE STATUE OF A WHITE BULL (NANDI) AT THE ENTRANCE GATE OF THE TEMPLE OF THE LORD SHIVA, FOUND IN RALAG VILLAGE, IN KHAMBHAT, INDIA. 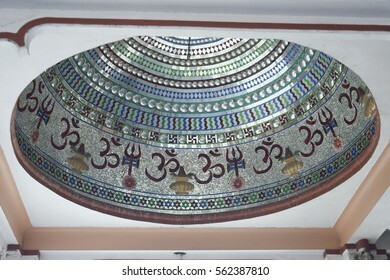 KHAMBHAT, GUJARAT / INDIA - JANUARY 11, 2017 : AN INTERIOR PART OF THE TOMB OF A TEMPLE OF THE GODDESS SIKOTARA MAATA , IN KHAMBHAT, INDIA. 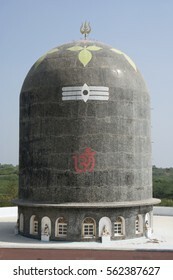 KHAMBHAT, GUJARAT / INDIA - JANUARY 11, 2017 : A HUGE BLACK COLOR STONE STRUCTURE KNOWN AS SHIVALINGA, FOUND NEARBY THE GODDESS SIKOTARA MATA TEMPLE IN RALAG VILLAGE, IN KHAMBHAT, INDIA. 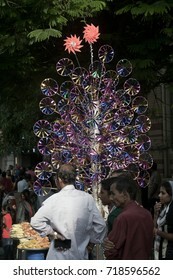 KHAMBHAT, GUJARAT / INDIA - JANUARY 11, 2017 : ROW OF WHEELS, EACH WHEEL IS WRAPED WITH RAW COLOR STRINGS TO DRY UNDER THE SUNLIGHT TO USE ON THE DAY OF KITE FESTIVAL IN INDIA. 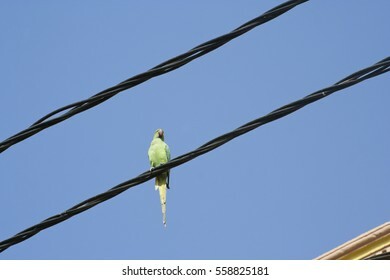 KHAMBHAT, GUJARAT / INDIA - JANUARY 11, 2017 : A PARROT IS SIITING ON AN ELECTRIC WIRE IN THE CITY OF KHAMBHAT IN INDIA. 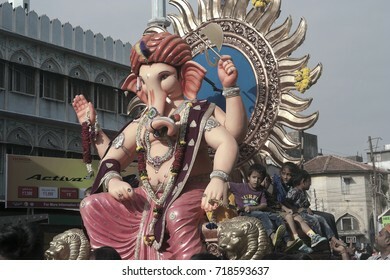 VADODARA, GUJARAT / INDIA - SEPTEMBER 5, 2017 : A BEAUTIFUL STATUE OF A LORD SHREE GANESHA DURING THE GANESHA FESTIVAL. 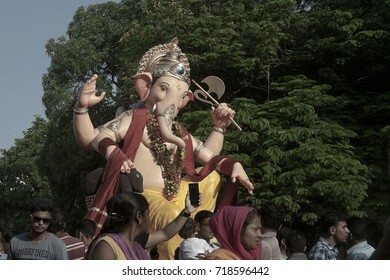 VADODARA, GUJARAT / INDIA - SEPTEMBER 5, 2017 : BIG STATUE OF A LORD SHREE GANESHA DURING THE GANESHA FESTIVAL. 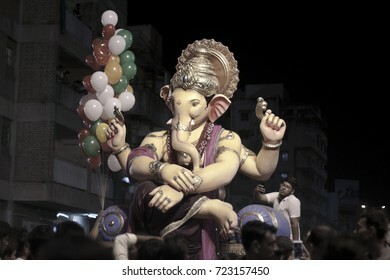 VADODARA, GUJARAT / INDIA - SEPTEMBER 5, 2017 : A LITTLE STATUE OF A LORD GANESHA DURING THE GANESHA FESTIVAL. 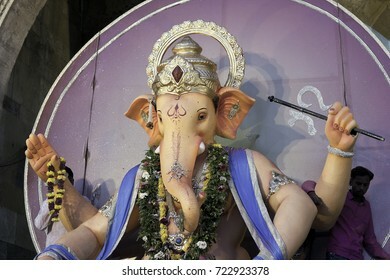 VADODARA, GUJARAT / INDIA - SEPTEMBER 5, 2017 : A LITTLE STATUE OF A LORD SHREE GANESHA DURING THE GANESHA FESTIVAL. 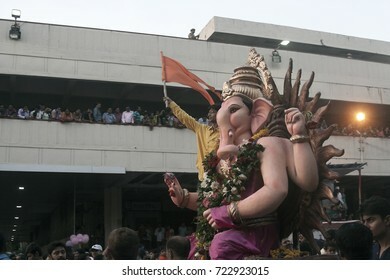 VADODARA; GUJARAT / INDIA - SEPTEMBER 5; 2017 : A BEAUTIFUL STATUE OF A LORD SHREE GANESHA DURING THE GANESHA FESTIVAL. 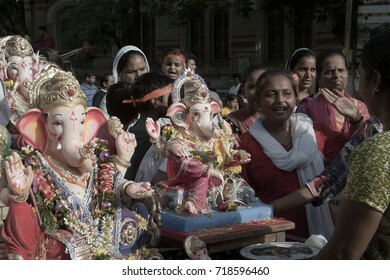 VADODARA, GUJARAT / INDIA - SEPTEMBER 5, 2017 : A GROUP OF WOMAN WITH THE STATUE OF A LORD SHREE GANESHA. 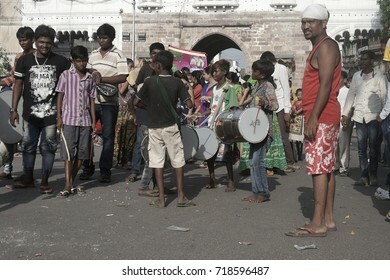 VADODARA, GUJARAT / INDIA - SEPTEMBER 5, 2017 : A GROUP OF YOUNG BOYS ARE DANCING AND PLAYING A MUSICAL INSTRUMENT DURING THE GANESHA FESTIVAL. 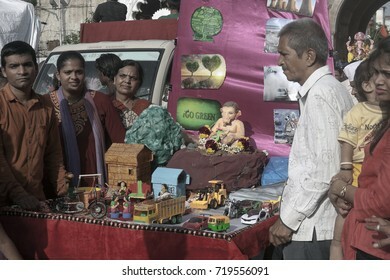 VADODARA, GUJARAT / INDIA - SEPTEMBER 5, 2017 : COLORFUL TOYS DURING THE GANESHA FESTIVAL. 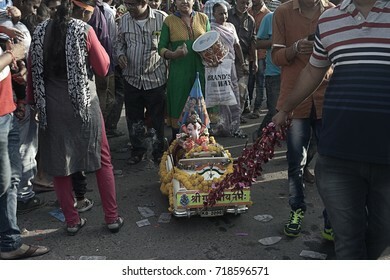 VADODARA, GUJARAT / INDIA - SEPTEMBER 5, 2017 : A LITTLE STATUE OF A LORD SHREE GANESHA ON A LITTLE DECORATED TOY CAR DURING THE GANESHA FESTIVAL. 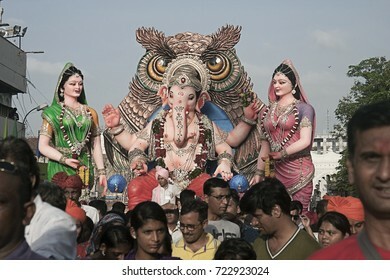 VADODARA, GUJARAT / INDIA - SEPTEMBER 5, 2017 : A FAMILY WITH THE STATUE OF A LORD SHREE GANESHA DURING THE GANESHA FESTIVAL. 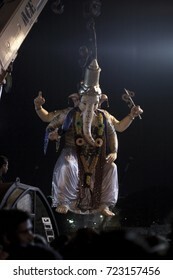 VADODARA, GUJARAT / INDIA - SEPTEMBER 5, 2017 : LOW ANGLE VIEW OF A LORD SHREE GANESHA DURING THE GANESHA FESTIVAL. 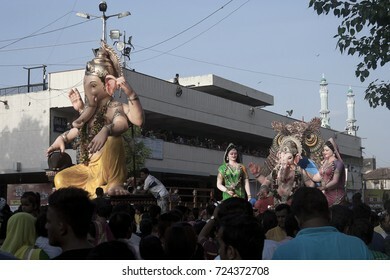 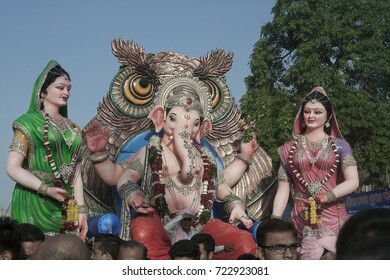 VADODARA, GUJARAT / INDIA - SEPTEMBER 5, 2017 : STATUES OF A LORD SHREE GANESHA DURING THE GANESHA FESTIVAL. 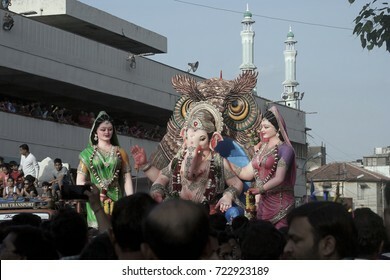 VADODARA, GUJARAT / INDIA - SEPTEMBER 5, 2017 : THE STATUE OF A HINDU GOD SHREE GANESHA SETTING ON A HAND CARD AND PULLED BY THE FAMILY DURING THE GANESHA FESTIVAL. 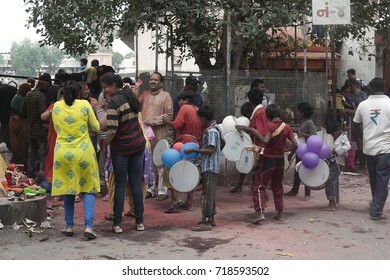 VADODARA, GUJARAT / INDIA - SEPTEMBER 5, 2017 : CHILDREN ARE PLAYING THE DHOL A MUSICAL INSTRUMENT DURING THE GANESHA FESTIVAL. 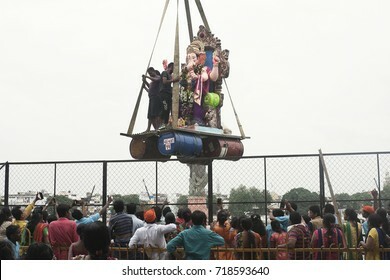 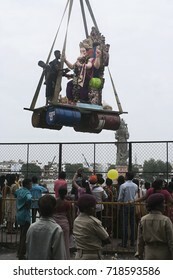 VADODARA, GUJARAT / INDIA - SEPTEMBER 5, 2017 : POEPLE ARE TAKING THE STATUE OF A LORD SHREE GANESHA TO THE LAKE TO SUBMERGE IT INTO THE LAKE WATER DURING THE GANESHA FESTIVAL. 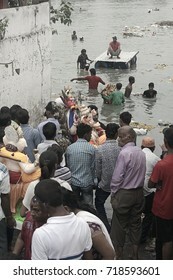 VADODARA, GUJARAT / INDIA - SEPTEMBER 5, 2017 : A WIDE ANGLE VIEW OF A LAKE AND THE PEOPLE SURROUNDED TO IT TO SUBMERGE THE STATUE OF A LORD GANESHA DURING THE GANESHA FESTIVAL. 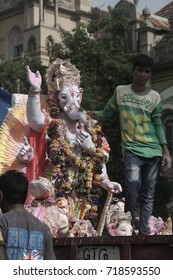 VADODARA, GUJARAT / INDIA - SEPTEMBER 5, 2017 : A STATUE OF A LORD GANEHSA DURING THE GANESHA FESTIVAL. 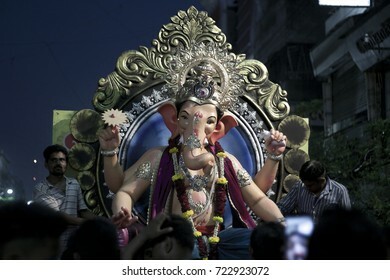 VADODARA, GUJARAT / INDIA - SEPTEMBER 5, 2017 : A STATUE OF A LORD GANESHA DURING THE GANESHA FESTIVAL. 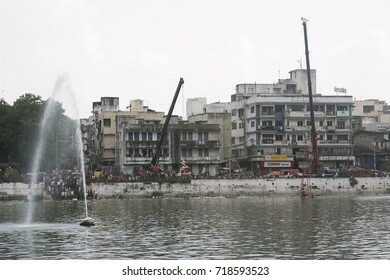 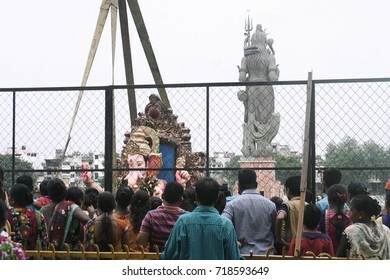 VADODARA, GUJARAT / INDIA - SEPTEMBER 5, 2017 : A BIG STATUE OF A LORD SHREE GANESHA CARRIED AWAY BY THE CRANE AND TAKING IT INTO THE LAKE WATER TO SUBMERGE IT INTO WATER DURING THE GANESHA FESTIVAL. 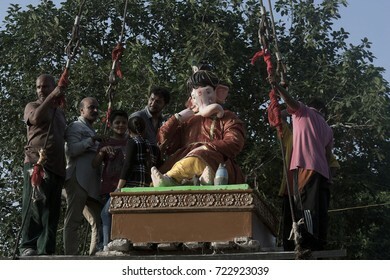 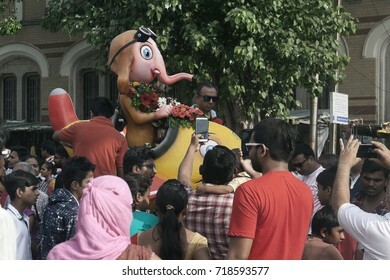 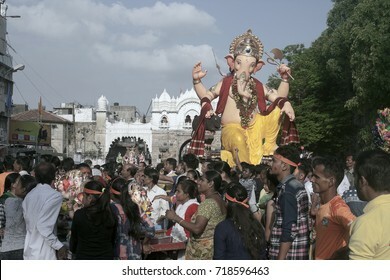 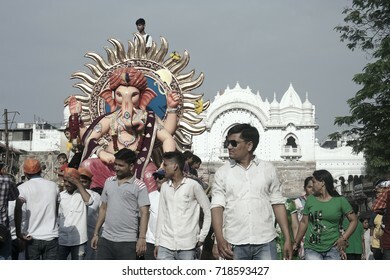 VADODARA, GUJARAT / INDIA - SEPTEMBER 5, 2017 : A GROUP OF PEOPLE ARE TAKING THE STATUE TO THE LAKE WATER TO SUBMERGE IT INTO DURING THE GANESHA FESTIVAL. 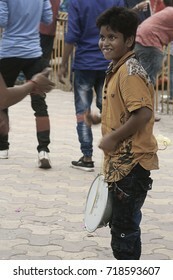 VADODARA, GUJARAT / INDIA - SEPTEMBER 5, 2017 : A BOY IS PALYING THE MUSICAL INSTRUMENT DURING THE GANESHA FESTIVAL. 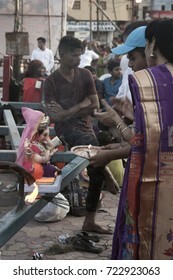 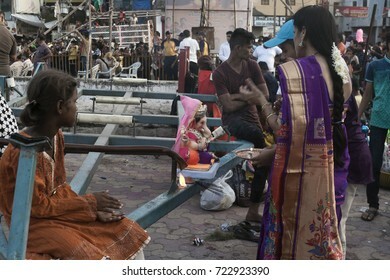 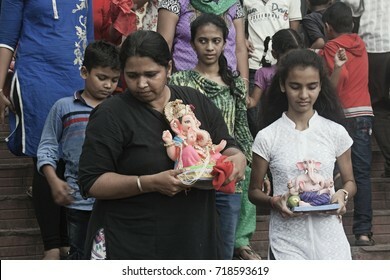 VADODARA, GUJARAT / INDIA - SEPTEMBER 5, 2017 : A YOUNG GIRL AND A WOMAN WITH THEIR LITTLE STATUE OF LORD SHREE GANEHSA CARRYING ON THEIR HANDS DURING THE GANESHA FESTIVAL. 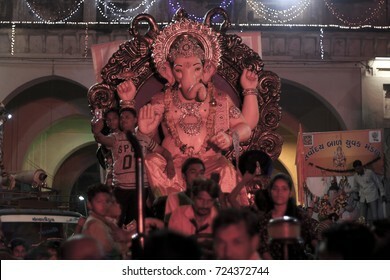 VADODARA, GUJARAT / INDIA - SEPTEMBER 5, 2017 : THE STATUE OF A LORD SHREE GANESHA DURING THE GANESHA FESTIVAL. 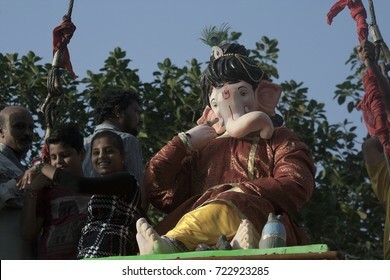 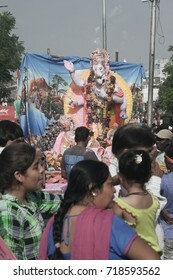 VADODARA, GUJARAT / INDIA - SEPTEMBER 5, 2017 : A BIG STATUE OF A LORD SHREE GANESHA AND THE LITTLE CHILDREN ARE SITTING BESIDES THE STATUE DURING THE GANESHA FESTIVAL. 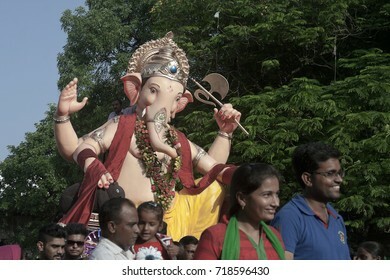 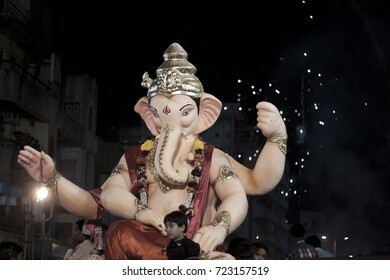 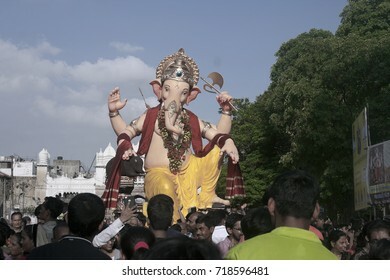 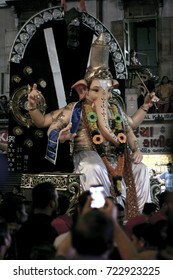 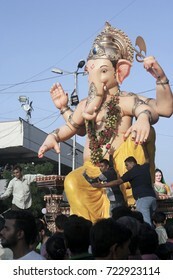 VADODARA, GUJARAT / INDIA - SEPTEMBER 5, 2017 : A BIG STATUE OF A LORD SHREE GANESHA DURING THE GANESHA FESTIVAL. 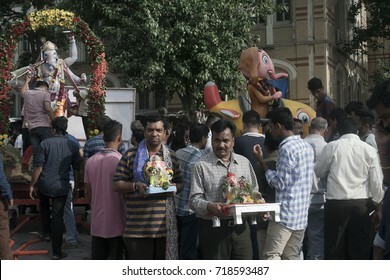 VADODARA, GUJARAT / INDIA - SEPTEMBER 5, 2017 : A MAN IS PERFORMING THE RITUALS DURING THE GANESHA FESTIVAL. 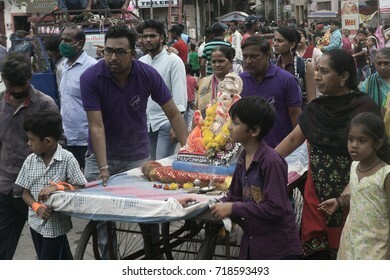 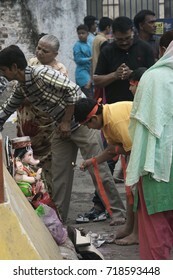 VADODARA, GUJARAT / INDIA - SEPTEMBER 5, 2017 : A BOY IS TAKING THE AARTI OF A STATUE OF THE LORD GANESHA DURING THE GANESHA FESTIVAL.